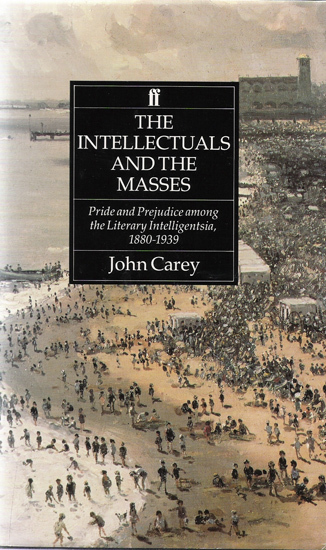 It’s National Academic Book week, and over at Vulpes Libris I’ve posted a heartfelt thank-you to John Carey for his game-changing book, The Intellectuals and the Masses: Pride and Prejudice among the Literary Intelligentsia, 1880-1939 (1992). It rebooted my research career, and it really annoyed the academic establishment. Tee hee.